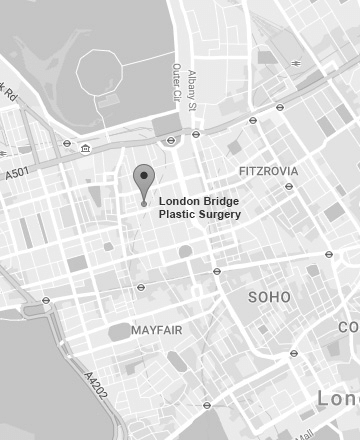 Welcome to London Bridge Plastic Surgery. We are a plastic surgery clinic based in the Harley Street Medical Enclave of London on Wimpole Street. Consisting of surgeons, a close knit team and professional and caring technicians our focus is patient care and understanding. With an exemplary record of safety, aftercare and results London Bridge Plastic Surgery under the guidance of Christopher Inglefield is one of the leading plastic surgery clinics in the UK. Our 5 Star, CQC Registered Clinic at 54 Wimpole Street is a Grade II listed Georgian property, newly refurbished to a high standard with traditional architectural features and modern furnishings. We pride ourselves in keeping the clinic at all times to a high level of cleanliness, with infection control as a priority and audits carried out regularly. You might like to read more on our chief surgeon Mr Christopher Inglefield or perhaps find out about the wonderful team at LBPS. We also can provide rental of some of our wonderful treatment rooms.